Late night host Jon Steweart pokes fun at Mitt Romney's assertion that he lost the election because Obama showered his voting base with "extraordinary financial gifts." "Daily Show" host Jon Stewart pokes fun at Mitt Romney's comments about "gifts" from President Obama that made him lose the election. Late night host Jon Stewart took aim at Mitt Romney on Thursday's "The Daily Show," riffing on the former presidential candidate's comments that he lost the election thanks to government "gifts" that he said President Obama used to bribe his voting base. In a twenty-minute conference call with fundraisers and donors to his campaign, Romney had said that the president gifted young voters with forgiveness on college loan interest and free contraceptives for young, college-aged women. 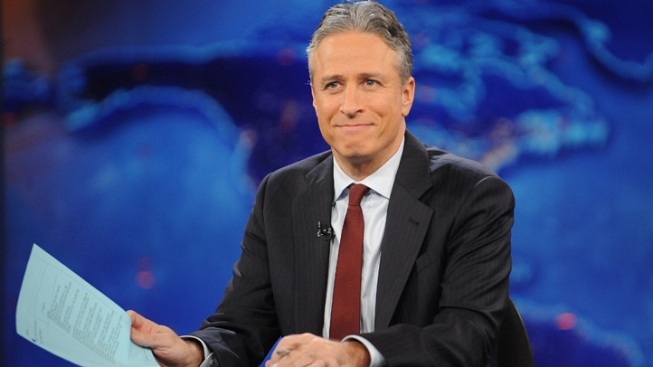 "How on earth did Romney find out about the extraordinary bag of gifts," Stewart joked. He pulled out a giant gift bag complete with a 2012 Obama sticker, and pulled out trinkets that included a food stamp cozy, a contraception variety pack and a piñata filled with green cards.